Grew up… in Northern New Jersey, though she spent most of her life trying to forget her childhood. Janice was always ashamed of her Jersey upbringing, and tried to distance herself from her family as much as possible. Living… back home in Jersey. Janice spent the last few decades in Los Angeles, where she joined an ashram and changed her name to Parvati Wasatch. She traveled through Europe and Sri Lanka, all the while leaving her brother, Tony, to take care of their aging battle-axe of a mother. Profession… none. Janice gets disability checks from the State of Washington, where she worked at an espresso bar, because she claims that she picked up carpal tunnel syndrome while operating the steamed milk machine. 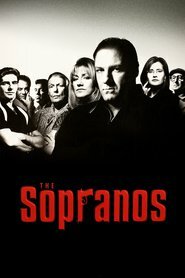 When her brother, Tony, asks her how many jobs she’s ever had, she responds “Enough to know I don’t want another one.” Fortunately Tony is a Mafia boss, so there’s generally enough money floating around the Soprano family for Janice to siphon off some. Relationship Status… single. Janice was once married to a Quebecois man, though she doesn’t talk about that relationship much. She’s been spending her time back in Jersey getting re-acquainted to one of her ex-boyfriends, Richie Aprile. Not to be unkind, but it’s hard to imagine that ending well. Challenge… living the affluent lifestyle that she wants without having to work too hard to get it. Janice is an aspiring gold-digger: she wants a big, luxurious house, an expensive wedding and all of the other things that come with the good life. She just needs to find a man that will put up with her. Personality… annoying and arrogant. Janice is full of pseudo-Far East “wisdom” that doesn’t jibe well with the residents of New Jersey. “There’s a Zuni saying,” she tells Tony and his wife Carmela after she witnesses them having a fight with their son, A.J. “For every 20 wrongs a child does, ignore 19.” That Janice thinks anyone wants child-rearing advice from her, given she has no kids and grew up with a terrible mother, is as telling as her hokum advice. Janice Soprano's popularity ranking on CharacTour is #5094 out of 5,000+ characters. See our top-ranked characters and read their profiles.